Put your brand on our booth! 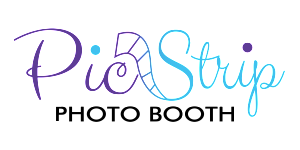 Pic Strip Photo Booth works very closely with our corporate clients at developing the best way to make your brand seen at your event. The Pic Pod was designed with corporate clients in mind and it is truly a marketing machine! There isn’t a better way to get your brand into the hands of so many than with our customized photo strip designed with your logo or graphics. 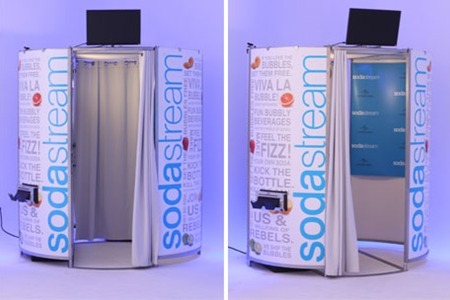 Pic Strip Photo Booths can wrap the exterior of the Pic Pod with your branding, create a custom backdrop with your logo, and allow guests to email their photos to themselves with a custom message you create. We can even provide you with a list of your guests’ email addresses after the event! Guests will be able to share their photos on social media from inside the booth and will also be able to view their photos on our online gallery after the event. We will also provide you with a copy of the images on a DVD. Social integration enables us to upload event photos to your company Facebook page and other social media channels. Our social kiosk option allows your guests to upload your photos to social media without holding up the line! Our photo booth does offer social media sharing from inside the booth, but we recommend the kiosk for large events to help with the flow of traffic. We want all of your guests to have a chance to get their photos taken at least once if not ten times!